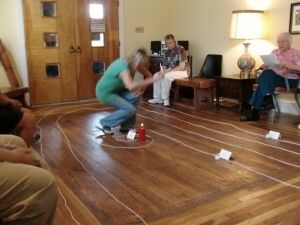 On Wednesday nights at 4:30 p.m., we gather for 30 minutes of prayer as a community. All are welcome! Additionally, we hold Mass about once a month and occasionally participate in other forms of prayers such as the Cosmic Walk pictured here.